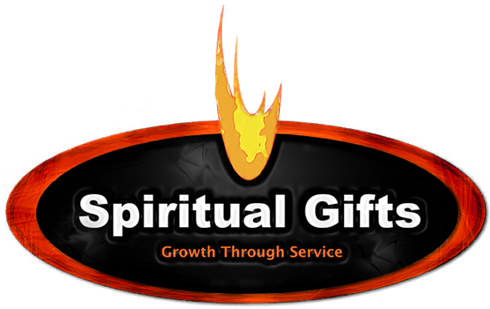 In this series on the Spirit-giftings, let’s take a step back and simply ask what the Holy Spirit is actually doing when he graces a gift to us? At surface level, we can say that God is actively fixing stuff. Literally, the Spirit of God is stepping into disorder and bringing gifts through his people of organization and administration. Where the fog of ignorance hinders his children from hearing his truth, God sends teaching that leads men to worship him. Where illness seems to conquer, the Spirit arrives with merciful hands to show he is the ever-present Help in time of need. When the suffering of lack and oppression take place, the Spirit releases a wave of generosity through his children. We can continue on like this with prayer, faith, discernment, hope, and many more. In fact, I believe that as many different needs that you can identify, there is One Solution with the right gift for each one of them. At a greater level, God is gracing us beyond our own means to accomplish his will. He is giving evidence and signs of the Kingdom which is here but must be accepted by faith. We can say that the Spirit is operating in a way that “rights” a world gone wrong, and he is doing it so that it reveals the truth and presence of Jesus. Therefore, God the Spirit is gifting the message of God the Son around the world through a gracious invasion. Yes, yes, but we really like the spectacular stuff. It is a very tempting desire to see “the cool of God” and the miraculous. If you have been around the work of God for any length of time and witnessed his power, you know that he trademarks some surprising things at times. On the other hand, let’s ask ourselves if that is normative in how God ordered his world? Is it right to demand that if it’s not spectacular, then it’s not of the Spirit? Notice that Jesus was washing feet the night before he was unjustly murdered. Nothing spectacular about that. No power-show happening there. It was all quite ordinary and yet extraordinary at the very same time. Jesus left them the example of loving service for how he operates in his world. Apostle Paul follows this up with, “You can do the spectacular with angels and lightning bolts included, but if you don’t have love, you’ve only lit-up fireworks.” (paraphrase di Rob, 1 Cor. 13:1-3). The Italian word for fireworks is fuochi artificiali meaning “artificial fire” and aptly applies here. Spectacular yes, beneficial niente. So, we might test a “gifting” with this helpful question — Does the gift in operation meet needs and show the greater way of Jesus’ love? The point is that there are hundreds of kinds of needs (ways the world just doesn’t work) and correspondingly, hundreds of opportunities for the Spirit to work through me and you by putting Jesus right into the middle of each one of them. Don’t overcomplicate the beautiful simplicity of gifts. Also, be careful not to overemphasize one, singular “gifting” at the expense of declaring one, singular Christ. Needs abound, but there is one, generous, gift-giving Solution. Does that mean that I have all the gifts? In a certain sense, yes. If you have the one Spirit of God who operates to meet needs and you’re like me with a thousand weaknesses to operate through, you might experience all kinds of the works of Jesus as you serve. However, I would say that not one person has all the gifts exclusively. Then you wouldn’t need me and I wouldn’t need you. 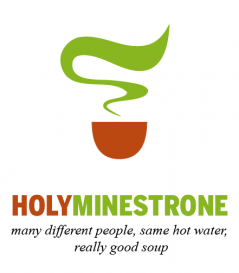 What kind of a holy minestrone is that? How we practice our meals, eat together, and share our food are all reflective of how we are striving to reach out to others and to cross-over to different cultures with the Gospel. Quite often, these efforts will also reveal where we are missing something in our understanding or lacking in a certain area of grace. I’ve had a breakthrough! Through the years, I’ve been criticized for being a slow-eater. But now! Now, I’ve realized that I’m a normal-eater being chided by hyper-fast eaters. It turns out, my eating pace is just right for where I live — viva l’Italia! Not only do I feel better; I feel vindicated. Food-justice has been served. Four hours of cooking and fourteen minutes of eating. Ever experienced that? And, when there’s not time to cook, four minutes of cooking for the same fourteen minutes of eating. It’s called fast-food for a reason. Seriously, you can’t take or have communion in a drive-through. We might as well call it fast-fuel because that’s how we’re using it. Through the years of ministry, we have noticed that more of our American brethren have struggled with this problem. What happens when we eat quickly is we are communicating that we are just there for the food. Relationships take time, and relationships can be forged through mealtimes. However, if we don’t utilize our food as a means of grace to bless others, we are communicating that we’re at the table for our own agenda and we need food to get that done. Slowing down will naturally keep us at the table for others. When food is a gracious ministry tool, we strive to share in an experience with one another and to practice Christian community. If our habit is to eat-and-run (done with our shared experience within 30 minutes), we really miss out on a great deal of ministry opportunity that comes from spending more than an hour together. I highly recommend sharing meals together in courses. Italia has a great model for this: start with appetizers (antipasti), then firsts (i primi), seconds (i secondi), sides (contorni), and sweets (i dolci — don’t ever forget this one!). Variations are fine. Remember, it’s not about the quantity of food more than it is the quantity of time. Courses help to slow things down which will provide more opportunities to nurture things that last — our souls. Two more problems to come…I’ll try to spill the beans on cultural tendencies only and not mention anyone by name — maybe.